Last week, we covered some of the basic, yet important, reports that you should be looking at in Google Analytics depending on the question(s) you are trying to answer. Today we are answering more of these questions and which advanced Google Analytics report to view. What makes a report advanced? Advanced reports answer more specific questions and are also tied to organizations that are using specific functionality within Google Analytics. Generally, that specific functionality must be setup prior and needs to be aligned with the businesses unique KPI’s. Is every advanced report important? Every advanced report will be important to some businesses, but not all of them. The advanced capabilities of reports within Google Analytics allows for customization to match the needs of the business. Not every business needs to use every single report in Google Analytics. How do I use the advanced reports? Does the report provide insight that you are willing to use and make actionable? If a report is only a vanity metric – do not bother. If you cannot do anything with the data that the report provides – do not bother. Finally, if you do not trust the data in the report, it is also not useful. Let’s See Some Advanced Reports. Question: What events are firing on my website? You are using events to signal specific interactions are occurring on your website and want to measure everything is working as intended. You are setting up goals that are based on events and want to know more about the events themselves. Events are only as good as the conditions in which they were created. A poorly conceived event is not anyone’s fault but the owner or creator. You can have unlimited events, but do not get carried away. You do have limited Goals per property. Events are personalized at every level: the categories, actions, labels, and values are all picked by the event creators. Make sure you have a reliable naming convention, otherwise things can be confusing and time consuming for lookups. Note: Events require that you have setup events to fire and to have data. Question: What channels are driving the most goals on my website? You have set up goals and want to attribute those goals back to channels to find out which channels are driving those specific goals. Your goals match to KPI’s and so you want to verify the return on your investments. You understand that channels are often multi-touch and that it can require several channels before a goal is completed. Therefore, you want to measure various attribution models to determine success. Cookies are what Google Analytics uses to track users over time and across channels. They are great in that they can persist for months, but they are susceptible to being deleted or duplicating the data since they are not 100% reliable. Unless you are on Google Analytics 360, you are most likely viewing sampled data and should consider all of the multi-channel funnel reports to be directional not precise. Unless you know exactly what you are doing by setting up smart goals, they can be incredibly deceiving and misinterpret the goals you are actually trying to measure. Until the feature improves it is mostly a vanity metric. Note: Conversions require you to have setup goals previously and to have data. Question: How are users navigating through my website? You want to improve the customer experience of navigating to the content they need. You want to improve pages other than the homepage. You want to understand what pages are getting people to click and go deeper into your site. You want to remove barriers or find problems in calls to actions that are not helping people navigate to where they want to go. Not every website has a blog, education, information, or tons of different pages. This means that a homepage might be the primary landing and lead collection page. The page paths might not be all that useful unless you have a business goal to get people to another page. Question: How effective is my social media at driving traffic? You have a social media strategy and want to evaluate how it is performing. You want to know what social posts are generating higher quality traffic. You want to determine which type of content is most conducive to each social network. Depending on how your website is setup, if you are using UTM parameters you might not see any valuable data. Google Analytics is catching up in tracking social traffic from more and more providers. As of right now the most popular plugins, networks, and sources will be accounted for but the rest are not. URL shorteners can give Google Analytics issues (bit.ly, etc.). You have to add code to setup Social Plugins (see this page by Google). Note: Social reporting requires goals and setup. Question: Which landing pages have high bounce rates? You want to make sure that you are sending relevant traffic to your landing pages. You want to make sure that your links to other pages on your landing pages are working. You want to diagnose the landing pages that have weaker call to actions and improve them. Landing pages are highly dependent on the quality of traffic being sent. When evaluating if a landing page is working you must consider the quantity and quality of traffic it is getting. Always test; use the Google Experiments and A/B test changes to your landing pages with significant sample sizes to ensure you are improving in the right direction. A broken ad or a broken link will sink a landing page, so ensure you are checking all elements of the landing page for issues. Bounce rates can be deceiving. Depending on how you have defined a session, if interactions require hits, and other flash-based elements can display high bounces but in reality are not. When you see bounce rates above 80% or below 2%, double check them for bounce measuring issues. Bounces are not the same as exits. A bounce is a single interaction where a user leaves the page they started on while an exit is the final page they leave on. Question: Which landing pages have high conversion rates? You want to determine what is causing the landing page to convert so well. You want to enlarge the offering of the high conversion landing page. You want to make sure that you are not being misled by an error. Conversions are mapped back to goals, so the quality of the goal goes a long way to determining if a conversion was setup correctly. Also, goals can be based on events so you also have to determine if an event was setup correctly. Note: The Goal Completion Location is the page that converted, while the previous step pages are those that brought someone to that final page (this is where you look). Question: How do my goals adjust based on the attribution model? You want to evaluate if a marketing channel is generating top of funnel awareness that leads to end of funnel goals. You want to attribute content along the path toward a conversion. You want to better understand the user journey. Sampling galore. You are not getting 100% accurate data here because Google Analytics samples the data based on the raw data. While it has affinity to the raw data, it is not precise. Cookies issues galore. Cookies wreak havoc for attribution. As people use more devices and browsers in their evaluation of products and services, these kind of issues will be more rampant. Channels are part of the default groupings. Make sure you know what data is in each grouping before you make decisions based on this data. The data, at best, is directional. Note: You must have setup goals and it’s best to ensure they have been working accurately for 90-days prior to using this report. Next to “Last Interaction” select a comparison model. Select Conversions and Value to see event valued data alongside ROAS/Ad Spend. That’s it! With a combined 15 possible questions and the Google Analytics Report to look at for each, feel free to bookmark this post (ctrl-d) and last week’s as your go-to guide. Or, download our PDF version here. 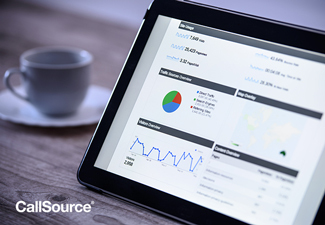 Now start collecting data through your Google Analytics reports!